Chicken Breast Recipe is the most practical recipes. The variation that you can make with chicken is endless. Snacks, snaps, dishes, soup, casserole, risottos, you can make almost anything with chicken. You can even make a tasty cake with chicken. Cake? Yes, you can also make cake with chicken, isn’t that fabulous. This kind of cake is also diet friendly, much less calories than the sweet cake. So what hold you to make this delicious tasty cake? Indonesia has great and enormous culture results in great choices of food with chicken. This is visible in kind of chicken recipes that Indonesia has, it's incredible. Even a simple fried chicken; there are a lot of choices that you can choose from this kind of chicken, such as Suharti fried chicken very famous in Indonesia, crispy fried chicken with garlic taste which the recipe remain a secret, then we have Mbok Berek chicken, less crispy than Suharti Chicken, but the taste? No doubt about it, delicious....and then we have Kalasan chicken, fried chicken cooked in coconut juice or Rica-Rica Chicken Fried chicken with a lot of chilies. So there are too many to name it all of them. Choose young chicken and poor of fat, especially for dishes like gulai that used so much santan. Your dish would be too oily. Don’t choose poultry farm chicken, they aren’t so flavor as the chicken that live outside. Especially the chicken that freely walking around haven’t such a big fat as the farm-bred chickens and they are healthier. And above of all they haven’t “fishy smell” like the farm-bred chicken. To remove the smell, rub the inside and the outside of the chicken with vinegar or lime juice. Let stand for a while then wash it with clean water. 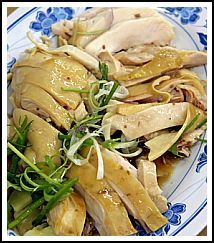 Delicious and excellent choice of oriental chicken recipe for the whole family. It's better known as Ayam Bumbu Rujak is one of the most famous side dish to make rice table, very popular in Holland. Or Ayam Hijau in Indonesian is chicken recipe with so much green chilies, so the dish looks like green. Not many people know this kind of dish but it’s tasteful and really easy to make. Chicken that cooked in coconut juice and then fried. It is such a unique recipe but it's really delicious. Fried chicken with chilies sauce is very delicious dish. Excellent side dish for tumpeng and one of Indonesian authentic recipe. It is not diet friendly but it's tasteful and delicious. Very unusual chicken dish. Not many people know and cook this kind of dish. But I can assure this is worth of try. The chicken Recipe that really filled your stomach. But this dish is certainly delicious, worth of try if you have a little bit of time. One of the main Indonesian dish, chicken cooked with coconut milk with some Indonesian herbs. Sate ayam is lovable by everyone. Especially people outside Asia, this is the most favorite dish. Very healthy and nutritious and very suitable for little children. This is certainly delicious and almost love by everyone because of the crispy and lovable taste. Grilled chicken roll is very delicious dish. With warm rice and sambal you’ve got the perfect meal. It's favorite by many people and great choice for dinner. This is delicious low fat chicken recipe. If you’re on diet this dish might be a solution or if you’re looking for a health food with low calorie. Grilled chicken in coconut and soya sauce is very delicious dish combined with fresh salad and warm rice would be an excellent meal for the lunch or even evening meal. The famous Indonesian traditional recipe. This chicken soup recipe using coconut milk with turmeric, bean sprout, vermicelli, shredded chicken and for the finishing is garnished with some celery. Have fun practicing these recipes and enjoy your meal.